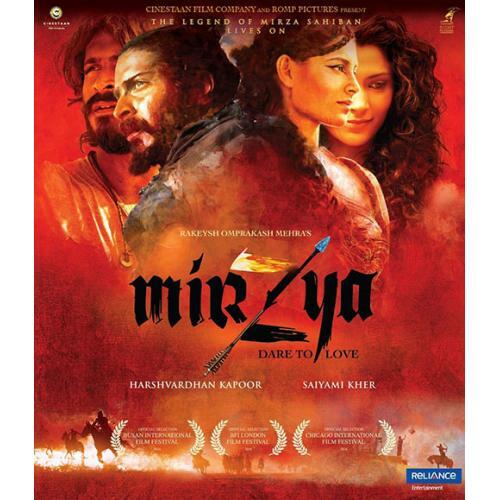 Mirzya is an epic love story that plays out in contemporary times - inspired by the folk tale of "the legend of Mirza - Sahiban" ... a tragic love story that finds resonance in other tales such as Romeo and Juliet, Laila & Majnu. A timeless folktale about star-crossed lovers is played out in two parallel worlds, one real, and one fantastical. As the lovers grapple with forces that seek to keep them apart in both avatars, they discover that even a moment of true love is worth an entire lifetime. 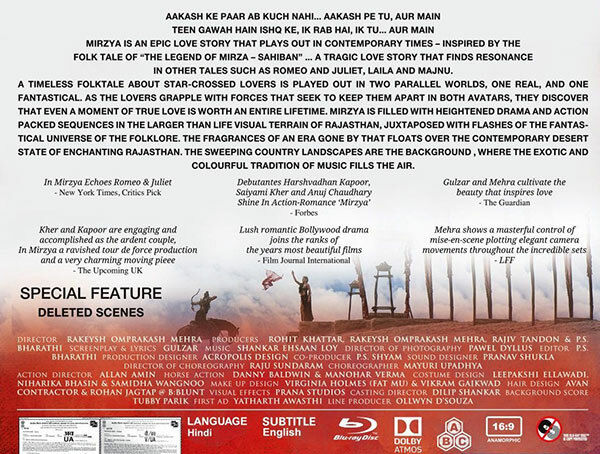 Mirzya is filled with heightened drama & action packed sequences in the larger than life visual terrain of Rajasthan, juxtaposed with flashes of the fantastical universe of the folklore. The fragrances of an era gone by that floats over the contemporary desert state of enchanting Rajasthan. The sweeping country landscapes are the background, where the exotic and colourful tradition of music fills the air.